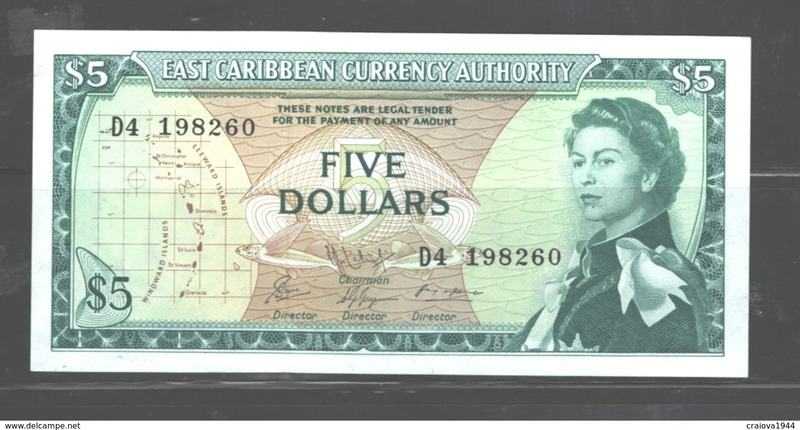 EAST CARIBBEAN CURRENCY AUTHORITY $5 1965, IN MY OPINION IS UNC I DO NOT CERTIFY COINS, BANKNOTES. WHAT YOU SEE YOU WILL RECEIVEIF YOU HAVE ANY DOUBT, BEFORE YOU BID / PURCHASE THE ITEM, CALL US. IF YOU HAVE ANY QUESTION, DO NOT HESITATE TO CALL US : clopotaru4@cogeco.caPLEASE, READ SHIPPING CONDITIONS. IF YOU HAVE ANY DOUBT, BEFORE YOU BID / PURCHASE THE ITEM, CALL US. 3. ITEMS $30.00 - $300.00 WILL BE SHIPPED ONLY BE REGISTERED MAIL, REGARDLESS OF DESTINATION . FEE:$12.00 (SAVE $14.50). CENTRAL AMERICA & SOUTH AMERICA. PAYMENT ONLY THROUGH PayPal, Later we may addopt other choices of payments. PLEASE DO NOT MAIL PAYMENTS by CHEQUES. RETURNS ACCEPTED, ONLY by REGISTERED MAIL. 4. USED STAMPS BASED ON CLAIM THAT THE CANCELLATION PENETRATED THE PAPER, WHEN THE LISTING CONTAINS SCANS OF BOTH SIDES. 5. FOR COINS THAT HAVE BOTH FACES SCANNED WITHIN THEIR LISTING, BASED ON DEFECTS ON THEIR SIDES. 7. 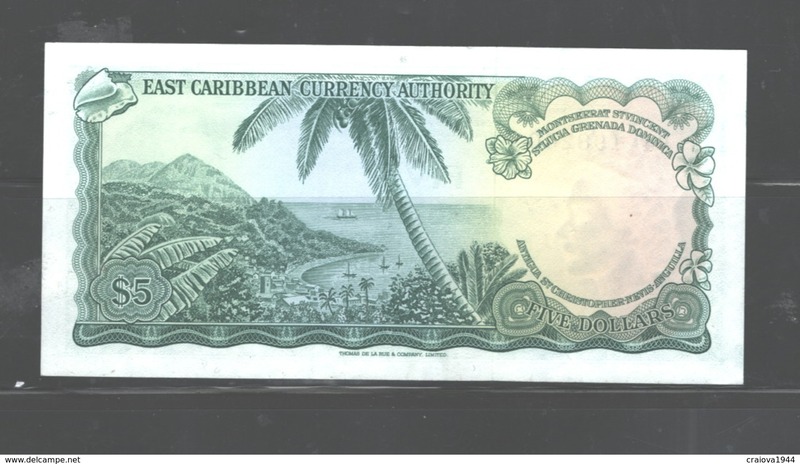 PAPER MONEY IS LISTED AS SEEN IN THE SCANS WITHIN THE LISTING; NO GRADING DESCRIPTION PROVIDED. 1. THE LISTING OF THE RESPECTIVE ITEM DID NOT MEET ANY OF THE ABOVE CONDITIONS FOR "NO RETURNS". 2. RETURNS ACCEPTED ONLY BY REGISTERED MAIL. Tks. !